The quest for innovation has become ubiquitous. It is high on the political agenda and raises hopes where few alternatives are in sight. It continues to be equated with the dynamics of wealth and even job creation and is hailed as solution to the major challenges facing our societies. Yet, as Schumpeter observed more than one hundred years ago, innovation is not only disruptive, but can also be destructive. A distinguished Austrian-born social historian of science, Professor Emerita Helga Nowotny of the ETH in Zurich set herself the task of exposing some of the paradoxical difficulties that attend the tensions between the rhetorical representation and the realities of ‘innovation’. Drawing in passing upon Marx and Weber as architects of ideas of modernity, Nowotny then settled as intimated upon a third figure, the Austrian economic thinker and historian of economic analysis J. A Schumpeter, and his conception of innovation as ‘creative destruction’. Innovation is not just technological but social, so that, for example, the quest for the quantum computer when successful will have a heavy impact upon the temporalities by which we live. We have to find a balance and trade-off between explanation and exploitation, whilst also being conscious that the reification of ‘innovation’ in an entrepreneurial culture (in particular that of the United States) can be misleading. n reality, much so-called innovation is in fact ‘recombination’, and Nowotny illustrated this by reference to the ‘shock of the old’ in the juxtapositional work of the artist David Jablonski. In pointing out how mixed the outcomes of prediction can be, she also related her qualifications of the concept of ‘innovation’ to John Maynard Keynes’ optimistic vision in his Economic Possibilities for our Grandchildren (1930), in which “I see us free, therefore, to return to some of the most sure and certain principles of … traditional virtue – that avarice is a vice, that the exaction of usury is a misdemeanour, and the love of money is detestable”. Technological unemployment might, Keynes foresaw, free humankind for a higher form of existence for which we had to prepare, but present day workplace realities are very different. In short, the most brilliant minds can get things badly wrong, and the gist of Nowotny’s message was that what may save us then we come to the fork in the road ahead of humankind is the capacity to resist binary division and develop informed both/and responses to global crises rendered deceptively manageable because of the inherent unpredictability of innovation. Innovation leads to paradoxical consequences: the ‘natural’ in a post-human world is extremely complex and fraught with problematic real world juxtapositions highlighted by, for example, the contrast between the rapid take-up of cellphones in India as compared with slow increase in levels of basic sanitation. ‘Theology’ in however a vestigial form was very difficult, indeed scarcely possible to detect in Professor Nowotny’s lecture which could not be was not readily assimilated under the rubric laid down by Lord Gifford. Of course such resistance is not without precedent, given that the eminent Swiss-German theologian Karl Barth made it an essential part of his life’s work to deny the possibility of ‘natural theology’, albeit from a very different standpoint. What was, however, very much in evidence was Professor Nowotny’s defence of a distinctive kind of truth-seeking. She argued for the necessity of fundamental research freed from the immediate and all-encompassing diktats of what we in the United Kingdom are required to register in the metrics of socio-economic ‘impact’. Above all, for this listener, Professor Nowotny’s Gifford Lecture was a plea for a renewed sense of global responsibility informed by the full panoply of the ‘human sciences’. Whilst there was to be a discussion the following day facilitated by the former Episcopalian Bishop of Edinburgh, Bryan Smith, it was disappointing that no questions were posed following the lecture by any of the many theologians currently active in Edinburgh. For this listener, Professor Nowotny’s critical account of the concept of ‘innovation’ was compelling. The risks raised by the unpredictability and unintended consequences of innovation give rise to a conundrum. The character of innovation might suggest that education, and in particular higher education should serve to develop an informed and agile responsiveness to change. By contrast, the societal reality of totalising managerial modernity is manifested in the urge of governments to impose ever greater degrees of control over our lives, and to understand ‘Quality’ as ever more sophisticated protocols of conformity. If, however, innovation is unpredictable then how can we know what we are directed to do will be the right thing? The posing of this question provoked a ripple of recognition in the audience, but no adequate response from the admirable Professor Nowotny. Graham Wood recently published a widely-read article entitled “What ISIS really wants and how to stop it” and has received much praise for his insights. His article is not without its problems, however, and I highlighted some critiques in a short posting on my personal blog. The thinking behind this kind of demand for condemnation implies that ‘Islam is somehow to blame’ and that ‘Muslims must condemn’ atrocities committed by other Muslims in order to justify their place in society to non-Muslims. It is a classic case of the No True Scotsman fallacy, as I described last year – ‘true’ Muslims would not do such things, so to prove one is a ‘true’ Muslim one must condemn such acts. Burley was engaging in classic Islamophobia, as Bullivant noted, but he was trying to point to something more – that there are social and political factors that create particular responses. The post-Westphalian nation-states we have in Europe rest upon offering security and stability to those who live in them in exchange for allowing a Weberian monopoly of force. But what happens when the monopoly of force is misused and the promised stability and order becomes uncertainty and threat? Islamophobia is a long-standing problem in the UK (cf. the original 1997 Runnymede Trust report), and harassment of Muslims by government authorities and others is widespread, whether it be attempts to recruit Muslims to work for the security services (e.g. 2009 and 2013), the targeting of Muslim charities (2014), the impact of counter-terrorism measures on all areas of life (2011), or everyday street harassment (e.g. 2014 and follow-up); that is before I even begin to point to systemic hate speech from the Daily Mail and other elements of the right-wing and gutter press. All this is happening all the time in the UK, before we even begin looking further afield at the continued attacks on Muslim innocents by the UK and its close allies, whether in Afghanistan, Iraq, Palestine or elsewhere. Although Burley did not want to hear it, all this frames the lives of many Muslims in the UK. It can hardly come as a surprise that resentment against the nation-state – that supposedly promises stability and security – then grows. Whilst growing up with state harassment might be the norm for those of our fellow citizens going to fight for ISIS, it seems a fair number have very little in-depth knowledge of the Islam that Burley and her ilk seem to assume is their motivation. 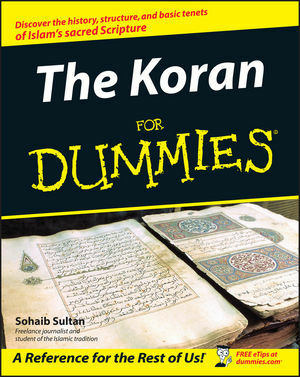 That two British men wanting to fight in Syria had in part prepared themselves by buying The Koran for Dummies and similar titles highlights their ignorance of Islam, rather than their inspiration from it. It is not, then, some diffuse conception of ‘religion’ that provides the motivation for jihad, but an understanding of profound injustice inflicted upon the individual and their family, friends and their ‘imagined community’ (pace Benedict Anderson) that leads to a disillusionment with the ideal of a nation-state governed by the monopoly of force guaranteeing stability and security. It is not a surprise that such injustice elicits a response – in fact, I would go so far as to say that wanting to respond to injustice is a natural reaction. Of course, what that response might be is still a decision for the individual – murder is not a pre-determined outcome of outrage at injustice; I would hope for a different response. However, once the decision to go down that route has been made, self-justification becomes necessary, and that is where (mis-)understandings of a tradition can arise. None of this is new. For example, Prussian (predominantly Protestant) soldiers on the German side in World War I wore belt buckles that had “Gott mit uns” (“God with us”) stamped onto them, whilst British Anglican bishops spoke of a Christian “crusade” to kill Germans – both sides using the breakdown of political and social order to pursue war, and both sides then claiming (the same Protestant!) God to be on their side. The war was not a Christian war in any meaningful sense, but the (mis-)interpretation of Christian belief was used to motivate the poor soldiers who had to fight in it. From the very beginning Wood’s article falls for the fallacy that ISIS is about ‘Islam’: ‘It is a religious group with carefully considered beliefs…’ or ‘The reality is that the Islamic State is Islamic. Very Islamic.’ But such statements do not help understanding – do we measure ‘Islamicness’ on a scale of 1 to 10? Whilst certain aspects of his article offer pointers to appropriate geopolitical responses to ISIS (e.g. parts of section IV – always presuming ISIS is as predictable as he is suggesting), describing ISIS as ‘very’ Islamic is not very helpful. Of course, doing something about the manifold injustices in our societies and the ways in which our governments lead and encourage the attacks on marginalised communities is much more difficult than claiming ‘their Islam’ needs to change – but in the longer-term the former is undoubtedly more effective. Instead of asking Muslims to condemn certain crimes, or arguing about ‘how Islamic’ a movement is, changing the way our society relates to Muslims who are an integral part of it, as well as those abroad, can create the spaces for responses that are more positive (and dare I say it, more hopeful) than the responses of the tiny minority joining ISIS just now. Deconstructing understandings of ‘religion’ in society is a part of that – but deconstructing our society’s self-understanding in order to address systemic injustices is a far more wide-reaching issue that emphasises our collective responsibilities in creating a more just world.